A business professor lamented on a recent blog that it is hard to get in the “flow” at work when you’re constantly interrupted, and then prescribed superficial antidotes such as fewer meetings and less email. From my experience, even if emails and meetings could be banned altogether and every effort were made to fill the workplace with motivation, enthusiasm and purpose, it wouldn’t really make a dent. The proportion of workers who either spin frequently into what neurobiologists call “frazzle” or simply sleepwalk at work are apparently struggling with focus. I was blessed to spend more time engaged and in the “flow” during my career than most people spent being awake, something that can mostly be credited to my wiring. But this didn’t make me immune to rare but inscrutable instances of distraction, usually brought on by personal turmoil. My job was also to firewall my coworkers from these “fires” so they wouldn’t be distracted and to restore my focus to tasks at hand as as quickly as possible. Realizing that what seemed to be in my wiring or mysteriously acquired was obviously illusive to others, I was always trying to learn, adapt and cultivate in others new information about concentration and attention. It always disturbed me when some people not only perpetually fixated about their worries, but then seemed to hitch rides on the personal drama in the lives of others, even strangers, as though they were their own. These are the folks who, for example, when someone in the office has encountered a death in their family, even if it is an aunt twice removed, will react as though it is happening to them. They become not only distracted for days with vicarious lamentations, but use them to repeatedly distract and dramatize others around them. Wiring or not, researchers are finding that difficulty with focus is really at the root of distractions or the inability to tune them out rather than after-work access to emails or meetings. In fact, complaints about not being able to unplug are just an extension of why some people were so disturbed to find emails waiting for them on Monday morning or before that, voice mails and snail mail to be answered upon returning from wherever. Managing and processing information is a part of life. Being so distracted by it that one cannot refocus or focus at all runs deeper than a few tweaks in office productivity can remedy. 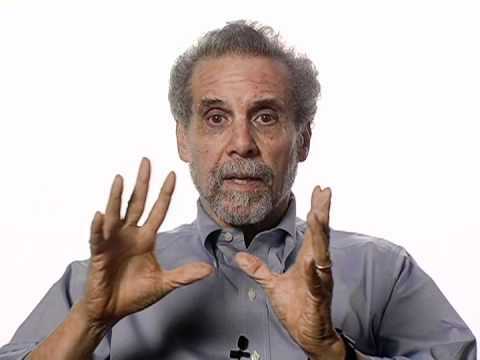 Anyone temped to think focus and attention can be populated in others by some superficial office tweaks is well advised to read a new book published a few months ago entitled Focus: The Hidden Driver of Excellence by Dr. Daniel Goleman a scientific researcher who also writes about science. I suspect the few negative reviews I read about the book came from those who thought, without understanding why they have trouble with focus, that the book would just give a set of list-checking techniques and “voila,” instant success. What they were looking for is better found in a series of CDs Goleman has produced based on the science that focus and attention can be cultivated like a muscle. But in my experience with people who struggle with these inabilities, the book is a way to understand and come to grips with how emotional centers in our brain work. More importantly, it explains why without what is called cognitive control, these emotions can literally take over the centers of our brain used for learning, critical thinking, focus and attention. Developed when we are young, studies show that cognitive control—or focus—is a better predictor of health and financial success in our 30s than either IQ or family background. This was the type of focus that came easy to me. “Outer focus” also seemed to come easy or was fueled by early distributed learning. This is the ability to perceive how larger systems shape our lives, organizations and communities. This is what people mean when they credit me as strategic, an inclination to see how various ecologies work and interrelated. In fact, it is something that can be cultivated too. But in my 30s an RHR management consultant once told me that from his observations my sense of empathy and “other focus” was so strong that at a very early age I had earned to over-rule it, moving to the safety of cognitive control. This ability to quickly shift back up to cognitive focus always is why some people perceived me as cold. It is also why some people become extraordinarily calm and focused in the face of tragedy, chaos or adversity. Instead, to paraphrase Signe Spencer who researches competency at Hay Group, that consultant told me I needed to learn to manage my impact (referring to my passion and intensity) on others in my presence. I’ve worked hard at this but it remains a challenge. Maybe not as challenging as it is for so many people who find it much more of a challenge to reach up from the eddies of emotional turmoil to grasp cognitive focus. One of the best explanations of empathy is a short TED talk by Jeremy Rifkin put to illustration. Cognitive Empathy which is fed by inquisitive nature and comes from our top-down brain circuitry. Empathetic Concern or compassion, a mix of top-down and bottom-up circuitry, the opposite of self absorption which involves discomfort at others pain and caring instinct. The key takeaway from the science of focus and attention is that we need to cultivate all three levels along along with the ability to shift levels, especially to cognitive focus, in the workplace. This includes learning when to soften that focus. But this is difficult in a fast moving workplace where it may make more sense to hire people with these abilities. It would be far more efficient for society, especially parents and teachers, to cultivate this in children at very early ages and as they are prepared for the workplace. I detect the thread of Stoicism running through this.